» Animals Of Australia Vocabulary Memory Game — FREE! Animals Of Australia Vocabulary Memory Game — FREE! You know I LOVE to make memory games (like this one for multiplication!) and a fun one just went live over at Homeschool Giveaways And Freebies. 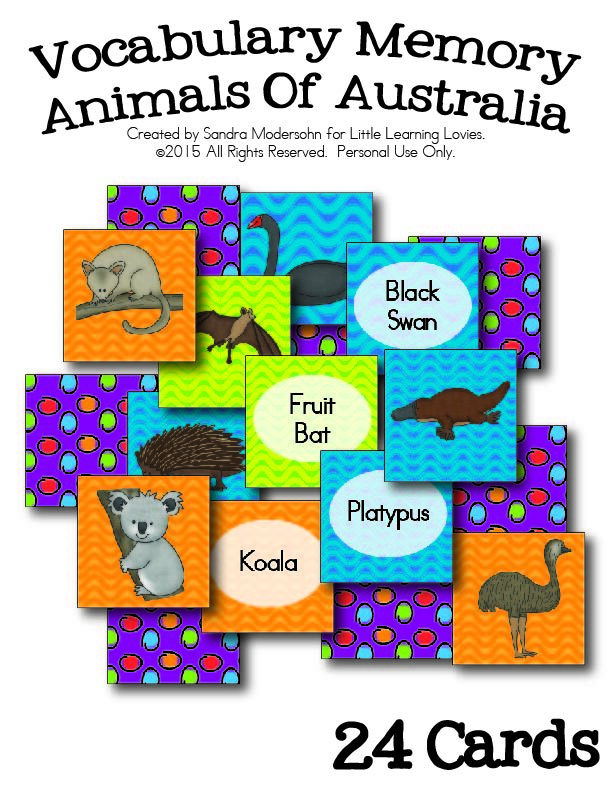 Animals Of Australia Vocabulary Memory Game is FREE and FUN! It’s a great way to introduce these unique animals and jump into an Australia study.